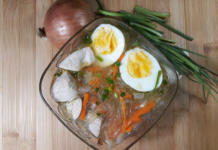 The Negros Island Region in the Philippines, in particular, Bacolod and Negros Occidental are proud of a Chicken char grilled specialty. The Marinade used in Chicken Inasal is composed of Philippine Lime, Pepper, Annatto (Atsuete) and Vinegar. 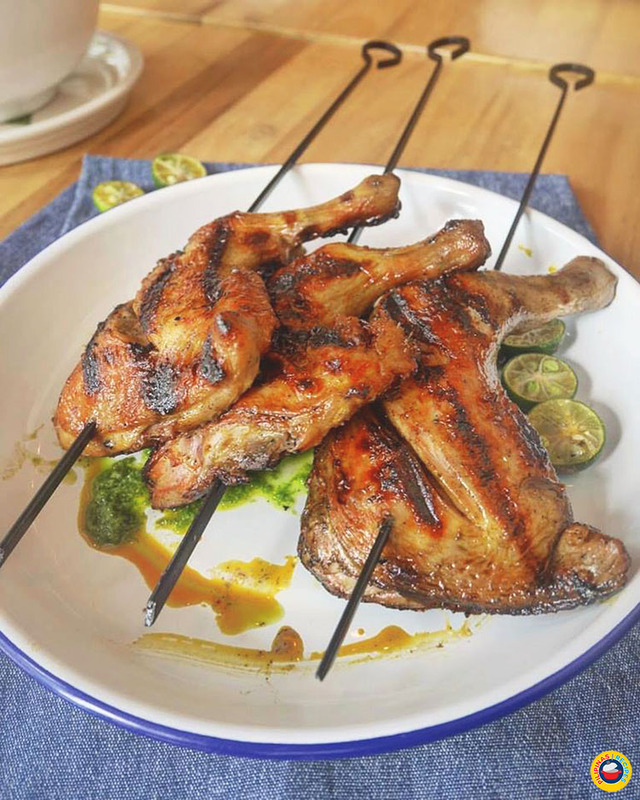 The Chicken Inasal Recipe which has gained a steady following through the years with numerous restaurants serving their own rendition all throughout the Philippines. 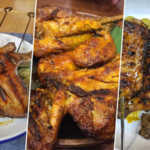 Inasal which is an Ilonggo term for char grilled or roasted meat originated in Bacolod but the whole Philippines have been mesmerized by this specialty. Soy sauce isn’t used in this grilled chicken which is a common condiment for many barbecue dishes. It’s also common for this dish to have a yellow hue thanks to annatto oil. Making this Chicken Inasal Recipe is easy but the taste is fantastic that you’ll want to try preparing it many times over. 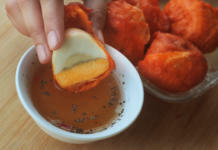 When making the dish, don’t forget to only use Native Coconut Vinegar and Kalamansi (Philippine Lime) because the combination of the two ingredients is what makes it delicious together with the smoked flavor and the presentation through annatto oil, you get the perfect food to serve during gatherings. 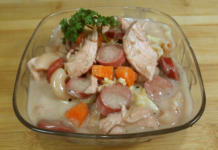 It’s also a must to serve this dish with a good amount of steamed rice to make everyone eating happily. 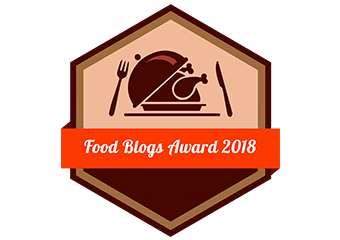 The Preparation and Ingredients of Inasal far Different from Lechon Manok but the Grilling Time and method is almost the Same as the Pork Barbecue and Chicken Barbecue. The Marinade uses in Chicken Inasal is composed of Philippine Lime, Pepper, Annatto (Atsuete) and Vinegar. 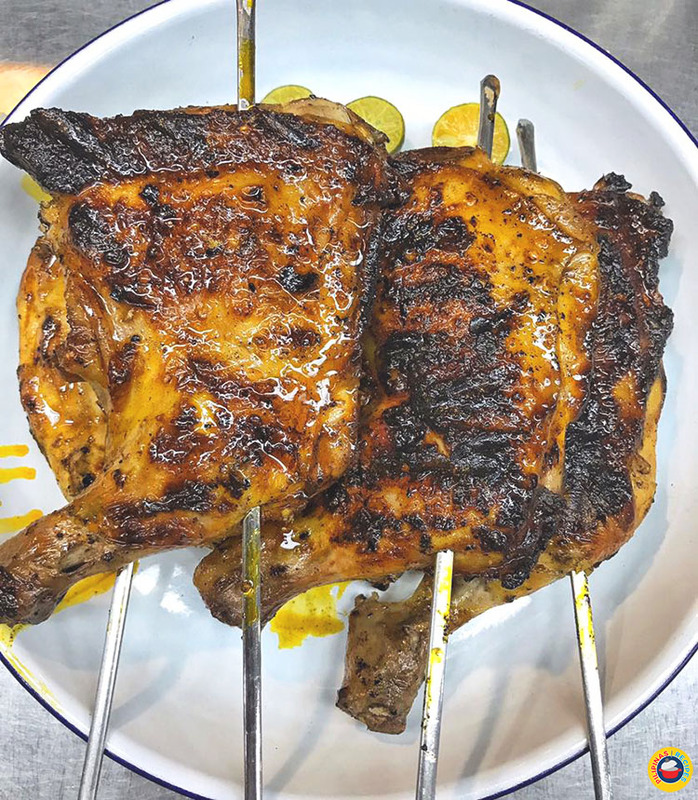 The Chicken Inasal Recipe which has gained a steady following through the years with numerous restaurants serving their own rendition all throughout the Philippines. This video shows another way of cooking chicken inasal. After cooking this Chicken Inasal Recipe, you might be confused as to what kind of side dishes and dips you want to add to the feast but one of the best dips that you can prepare is Sinamak Vinegar dip because it’s already infused with great flavors like garlic, chili, peppers and Langkawas (Galangal). Just add some fish sauce or salt to it to boost the flavor and you’re ready to eat it with your friends and family. 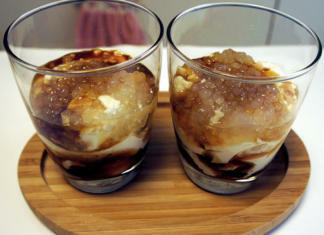 Since this kind of dish is usually devoured in restaurants and sidewalk food stalls, you need to make the experience authentic by serving iced cold beer too which is a common drink consumed by many who eat this dish.